We have wholesale soap making supplies. Perfect for professional soap makers and DIY hobbyists. Aromatherapy essential oils, melt and pour soap bases, molds, cutters, colors, unscented bases, plus ingredients like shea butter, cocoa butter. Outstanding bulk discounts available. Melt And Pour Soap Bases Cont. Stocking the most popular wholesale additives for soap making, cold process soap and lotions. Perfect for weekend hobbyists or pro makers. Top sellers include shea butter, coconut oil, olive oil and preservatives. All of our wholesale pre-made lotion bases and unscented washes are ready to use or can be adjusted with additives to make your own custom products. DIY projects include lotion making, bath bombs, shower gels, cold process soap, and mp soap. Our inventory includes the best wholesale soap making colorants available. Pure natural, organic and inorganic cosmetic colors, pigments, ultramarines, lakes, dyes and micas to make outstanding soaps, lotions, bath bombs and shower gels. Our wholesale essential oils are 100% pure, certified free of synthetics. The best is here, take an aromatherapy journey that soothes the mind and spirit. Ideal for soapmaking, skin and hair care. Small size and bulk pricing available. Wholesale flavor oils used by professionals and hobbyists to flavor lip balm, lip-gloss and lip scrubs. Our best selling sweetened flavor oils include bubble gum, sugared strawberry and vanilla mint. Small size and bulk pricing available. Soap Molds with wholesale pricing and outstanding quality. Silicone, plastic and wood molds for soapmaking, bath bombs, lotion bars and more! Wholesale bottles, jars & tubes. Check out our line of plastic bottles, lip tubes, lotion bar containers, plastic jars, metal containers and closures for your packaging needs. Small size and bulk pricing available. Popular wholesale packaging with These include soap boxes, shrink wrap bags, shrink wrap bands, soap clamshells, muslin bags, bath tea bags and gift bags. Small size and bulk pricing available. Wholesale starter kits are a great way to learn how to make handmade soap, lotion and cosmetics. Get inspired by DIY kits with handpicked ingredients such as soap making, bath bombs, lotions and more. Perfect for your car, dresser drawers, closet or anywhere that needs a little freshening. Orchard fresh and ready to pick, these sweet, petite tarts will fill any corner of your world with apple-scented goodness. Red apples not your favorite? Try using green color for Granny Smiths or yellow for Golden Delicious. 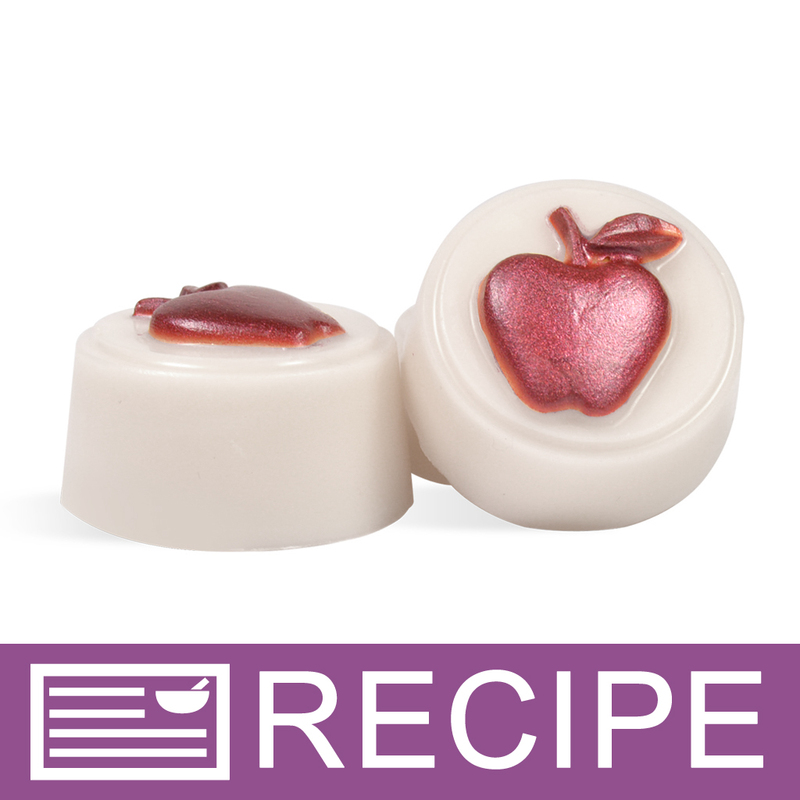 Any variety you choose will work perfectly with our Gingham Apple Fragrance Oil. Country Of Origin: See each component for listing. You Save $15.61 by purchasing this kit rather than buying the items separately. This product conforms to the reporting requirements of California Proposition 65 (Safe Drinking Water and Toxic Enforcement Act of 1986). We are conforming to the regulation by reporting the existence, or lack thereof, of ingredients deemed reportable by the above mentioned regulations via a Safety Data Sheet (SDS), in Section 15 "Regulatory Information." Ingredients from Natural Food Sources (NFS) and are exempt from reporting in accordance with Title 27, § 25501(a). If you are using this kit to make a product for personal use you are not required to include an ingredient label on the product. To view the free recipe that goes with this project, Click Here. Question + Answer. Here you can ask or answer questions All questions are queued and answered quickly during business hrs. You can also answer questions posted by other customers if you have valuable information. "There's a warning that one of the ingredients can be harmful when inhaled, but it doesn't list which ingredient it is referring to. Can you please clarify?" Staff Answer The California Prop 65 Warning is for the Crimson Red Wine Mica Powder. Once this powder is mixed in with the wax, there is no longer a concern. "Could these be used in wax melters?" This is ideal for wax warmers. Have fun and enjoy makeing. If you used this product to create a masterpiece of your own, please share your ideas with others. Uploaded products can link directly to your Handmade Store so customers can purchase directly! Get exclusive emails and offers!